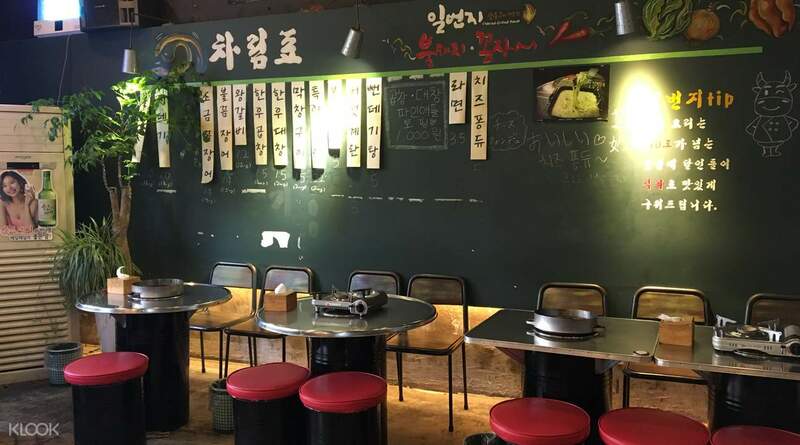 Enjoy local delicacies and taste authentic Korean flavors at Ilbeonji Gopchang Kkomjangeo, a restaurant in Seoul known for their barbecue dishes! Enjoy the restaurant's cozy interior, featuring city illustrations on the walls and comfortable leather couches, that are sure to brighten up your meal. Feeling brave? Try out a local delicacy, grilled beef intestines, for a sample of genuine Korean barbecue! Choose the large intestines for rectangular pieces with a chewy yet crunchy texture, or the small intestines for tube-like bits that are very soft and gooey. This unique dining experience is definitely a must-try for anyone visiting Korea. 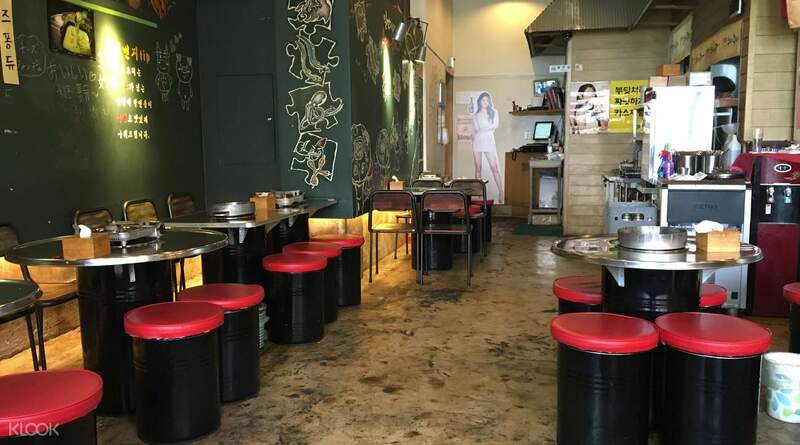 Stop by at Ilbeonji Gopchang Kkomjangeo for a taste of authentic Korean Barbecue! 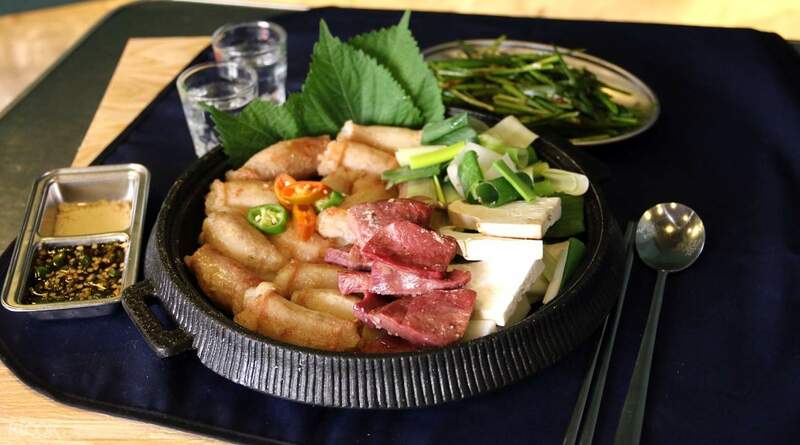 Try out various Korean dishes, including grilled beef intestines, a local delicacy!